On March 20th a 17-year-old student went into a high school in Maryland and fired a semi-automatic handgun injuring two other students, one of whom has passed away from her injuries. Now this might be the first you are hearing of this. The day wasn't over (when Jacob wrote this) but neither The New York Times nor CNN had any mention at all of the story on their website home page and USA Today and NBC News buried it below the fold … apparently not deeming it worthy of “Top News” at the top of their website that day. Why would the top news organizations of this country completely ignore a school shooting? Because it doesn't fit the agenda. Since the Florida school shooting last month the debate over gun control has reached all new heights with even President Trump and the NRA endorsing ideas that previously they wouldn't have entertained. Everyone wants to “do something” but the country is divided over what we should do. Today's shooting helped us understand better 4 major things we need to know about the issue that is polarizing America. Some of you may be tired of hearing this but ultimately no number of laws will stop violence from happening. 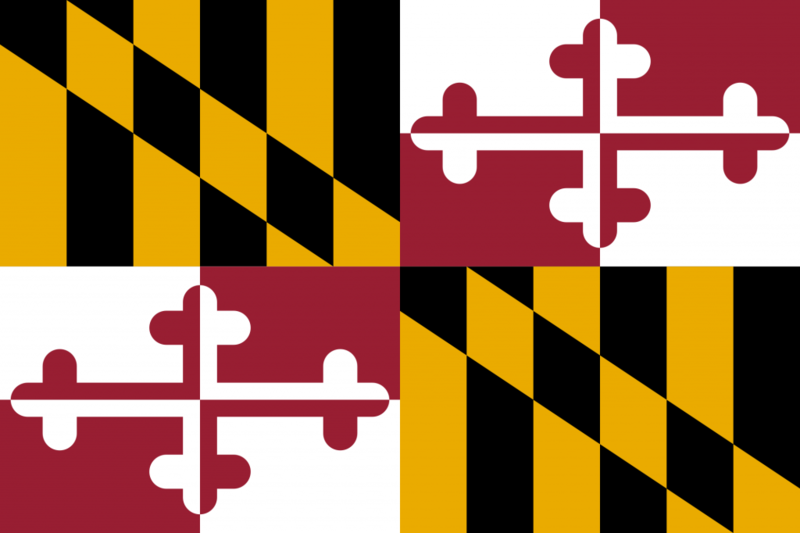 Maryland is the perfect example of gun control for those who are in favor of greater firearm regulation. Despite all these laws being in place in Maryland, a 17-year-old kid accessed a gun and shot at other students. Now you might want to believe that if the laws were laxer, these incidents would happen even more often. The data doesn't support that at all. In fact the data says the opposite … look at the Sandy Hook shooting for another example of tough gun laws and evil happenings. What you can't deny is that despite all those laws being in place “gun violence” can and will still happen. Since the Parkland shooting Florida has passed a law to restrict 18, 19, and 20 years old who are otherwise legally able to buy rifles nationwide from doing so in Florida. Walmart and Dicks Sporting Goods have changed store policies to no longer sell rifles to those under the age of 21. Inherently any of us should understand that prohibiting anyone of any age from purchasing something doesn't mean they won't commit acts of “gun violence.” It would be like believing that since teenagers can't buy alcohol they will never drink. The Maryland shooter was 17 years old. He used a handgun which is illegal to purchase per Federal law until one is 21 years old. The news media glossed over the fact that the shooter in the recent Texas shooting was stopped by an armed citizen. Now they are not giving this story attention because the shooter was stopped by a good guy with a gun … before there were any fatalities at all. Arming good people with guns doesn't guarantee those bad things won't happen. It doesn't guarantee the good guy will be available or willing to act at the right place at the right time. But it does create the opportunity for a good guy to stop a bad guy and we see repeated instances of that happening. DAILY in this country, good armed citizens stop crimes and save lives with guns. Teachers shouldn't be required to be armed but I don't understand laws that restrict teachers who are willing, trained, and desirous to be armed. The NRA is accused of killing kids and being terrorists. The NRA is not a magical human who influences America. It is a lobbying group that is controlled, funded, and empowered by its 5 million members. Without the support of its members, it would cease to exist. I'm accused often of “believing the false NRA narrative” and “blindly following” the NRA. These media giants not only have an agenda but they also directly profit from tragedy. They push the names of the killers to the top of the news story for weeks to drive better ratings all the while inspiring the next evil lunatic who wants to be famous. Even I was shocked to find that the Denver Post, LA Times, and Wall Street Journal would have buried the story of a school shooting. If you think they don't have an agenda you are blind. If you think they don't influence your own thinking and opinion then you are naive. What do we do next? Share your thoughts in the comments below. Excellent article, too bad it is buried, not published with the main media. I agree completely that the Media is biased, not publishing balanced news, and frankly, thank God, the Second Amendment needs 38 states to vote against to repeal it. I cannot believe 38 states would vote against the 2nd Amendment if all read and understand that self defense is universal and read the history of the 2nd Amendment to understand why it is one of the most important amendment. I have a proposal for our friends in the drive-by media-and it is this. We, the American people, give up our guns, if and only if, they give up all their own protection. In other words, be the same as the rest of -just as vulnerable to the criminals as we are. First of all this is a great article. If people would take the time to read their Bible they would see that the first person ever murdered was killed with a club. You guys and the media keep harping on the mental health issues that deeper back ground checks would be a major solution to the problem at hand. How many people do you think it is walking around with PTSD? We’ve been in a war on two fronts since the attack’s on 911. How many fire fighters, first responders and law enforcement that are currently employed are dealing with PTSD? I can assure you it’s a heck of lot more than they have recorded. As far as myself I am a current member of the NRA and a member of USCCA. I served in Iraq and have 33 years, 3 months and 4 days in the military. The people that are either going and getting help or the ones that have been in the past is not the ones you have to worry about. A person has got to want help before the counseling and medication can do them any good. The people that are being treated by professionals are being closely monitored already. So now you have the untreated. Family members and friends are the ones that can stop this kind of violence from happening in the first place. People do give tell tell signs in advance you just got to know what to look for. Drugs play a big part in the gun violence arena. How many people are there that carry a weapon on them every day that can’t hit a man size silhouette at ten yards? Now if you can’t hit a target when there is no pressure what so ever, how do expect to hit anything when someone is shooting at you or they pull a gun out? If a person wants to one kill their self or two know that they are ready and willing to die in order to inflict harm on others it’s almost impossible to stop them before hand. I as my brothers in arms took an oath to defend the constitution of the United States against foreign and domestic governments. It’s one thing about an oath it’s binding until you take your last breath. I do believe that we need to be heard in every state. It’s time for us to get out of our comfort zone and take a stand in numbers before it is to late. Take a look at these other countries and their gun laws. I’m sure they said the same thing as us and they didn’t believe they would ever take their guns, but they did. We could be headed down that same path. Myself I don’t want to depend on a call to 911 and have it to determine wether I live or die by their response time. You’ve also got to remember the medical personal cannot assist you should you or family member need treatment until the police say it’s safe for them to go in. How much time is that going to take? It’s sad that this is the world we live in. It’s sad that things have gotten to the point that you have to carry to church service in places. Nice reply to the article. I am 77 years young. I have been carrying for three and a half years. With my Glock 36 (.45 ACP) I shoot 6 inch.groups at 25 yards four inch groups at 10 yards and at 7 yards I blow a round hole in the middle of the target. I carry every where I go (including into stores that are posted no guns allowed) No store yet has discovered an evil gun in their midst. I believe I live in one of the most anti-gun states in the country the “DPRC” also known as California. Our problem, gun owners and supporters of the Second Amendment, are arguing with fools who have their closed minds made up and no facts, truths or logic gets through to them. But we must not ever give up! It looks like Trump has sold us out. Once more, Guns don’t kill people people kill people. And until the dummies in charge get that, we are going to stay under attack. I train regularly and hope and pray I never have to use deadly force. I believe I will be able to do it. But, until I am faced with the decision I truly do not know. But I AM READY!